When big hospitals are locked in bare-knuckle battles against debilitating and deadly bacterial and fungal infections sweeping their institutions, don’t patients have the right to know about these situations that might affect their lives and care? According to some hospital insiders, no. 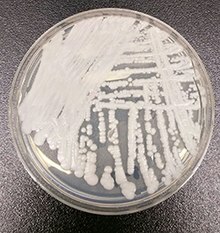 The New York Times reported that a “culture of secrecy” prevails in hospitals as they combat “super bugs,” bacteria that have become resistant to antibiotics and now fungi that have evolved immunities to antifungals. The newspaper found the institutional opposition to making public outbreaks of hospital-borne infection as it followed up its own scary page one story about the global spread of Candida auris, a drug-resistant fungus that preys on patients who already are hospitalized and may have compromised immune systems. Although Mount Sinai officials discussed their C. auris battle after its conclusion, the New York Times reported that candor rarely occurs by hospitals about such disease-fighting campaigns and their potential impact on other patients. The CDC insists that it grants hospitals and nursing homes confidentiality about infection outbreaks because it is necessary to encourage their cooperation and disclosure if problems erupt. But safety advocates criticized the hushing up of what they say are serious situations that patients should be informed about, arguing that institutions and politicians may be too quick to try to protect reputations and hide from the public risky situations. To be fair, public health officials, doctors, and hospitals may wish to limit infection disclosures to protect patients’ privacy, prevent their stigmatization and to encourage those with diseases to seek rapid and full treatment. Hospitals that treat complex cases, large numbers of patients, and the sickest of the sick may be more prone to super bug outbreaks—they also may be better equipped to deal with them. Infections don’t always blow up, and it may take time before even experts realize their extent. They also may be contained in a finite area of a large institution. Still, as the New York Times article makes clear, medical scientists and the health care community need to increase the urgency of their communications to the public about the risks of overuse of antibiotics and fungicides and how this strengthens and spreads infections around the planet. We all can help by not barraging our doctors and pediatricians for reflexive antibiotic prescriptions for routine sniffles or colds, or sinus or ear infections — these too often aren’t bacterial but viral caused and bug-killing drugs won’t help. With technological and transportation advances, once-exotic bugs fly around the globe in a blink. Serious consequences can erupt in America due to over use of antibiotics in the developing world, or because of excess spraying of fungicides on harvested crops so they don’t rot. In my practice, I see the harms that patients suffer while seeking medical services, including the injuries and deaths that can be caused by hospital acquired infections (HAIs). Although hospitals and health officials have campaigned for some time now to decrease HAIs, and some categories of infections have fallen, the CDC estimates that 1 in 31 hospital patients gets one each day. Those cases add up fast, with the CDC reporting an estimated 687,000 HAIs in U.S. acute care hospitals in 2015, with 72,000 hospital patients or so dying with HAIs during hospitalization. The agency says the infections can have for patients “devastating effects on physical, mental/emotional, and financial health. In addition, they cost billions of dollars in added expenses to the healthcare system.” Indeed, they are part of an avalanche of preventable medical errors that claim the lives of roughly 685 Americans per day — more people than die of respiratory disease, accidents, stroke and Alzheimer’s. That estimate comes from a team of researchers led by a professor of surgery at Johns Hopkins. It means medical errors rank as the third leading cause of death in the U.S., behind only heart disease and cancer. In the United States, two million people contract resistant infections annually, and 23,000 die from them, according to the official CDC estimate. That number was based on 2010 figures; more recent estimates from researchers at Washington University School of Medicine put the death toll at 162,000. Worldwide fatalities from resistant infections are estimated at 700,000. Health researchers at the nonpartisan, nonprofit RAND Corp. have estimated that the dire consequences of rising global challenges with antimicrobial resistance resulting from antibiotic over-use and other causes. It could lead to scenarios that could see a reduction of 11 million to 444 million in the world’s population, and cumulative economic losses ranging between $2.1 trillion and $124.5 trillion. Even one of the nation’s flagship hospitals, the National Institutes of Health Clinical Center here in our backyard, has battled outbreaks of resistant bugs, known incidents in 2011 and in 2016. Patient safety issues, including fungal contamination of materials from a center pharmacy for injections, led the NIH chief to shake up center leadership. Here’s hoping that doctors, public health officials, hospitals, and nursing homes can take less drastic but equally big steps to increase public awareness about antibiotic and fungicide overuse and the risks of superbug infections, especially in caregiving settings.